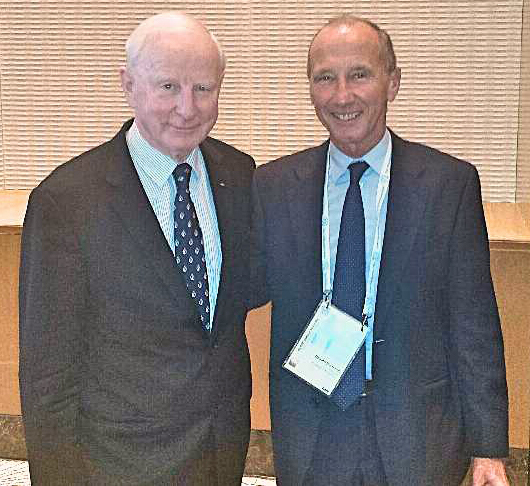 Renato Bertrandi attended the EOC Congress in Baku from the 20th to the 23th of November. For him it proved to be a wonderful opportunity to meet up with other NOCs and Federation Presidents and more importantly to exchange and discuss ideas with them. During his stay one of his main objectives was to see the new location for the Games' Triathlon venue and to discuss with EOC the possibility to have our sport included in the EYOF (European Youth Olympic Festival) that takes place every two years. It is a biannual multisport event for Youth Athletes from the 48 Countries that belong to EOC. 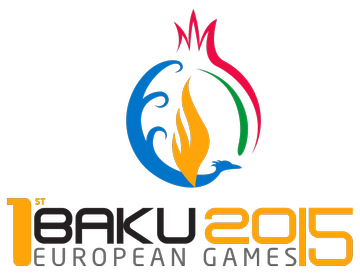 In 2015 it will take place in Tbilisi (Georgia), in 2017 in Győr (Hungary) and in 2019 in Minsk (BLR). The EYOF follows the Olympic legacy and recognises that sport is connected to culture and education, which leads naturally to the Olympic Values of friendship, respect and excellence. The Festival has been running now since 1991 and has summer and winter editions. We in Europe can, with this festival, keep in step with the tradition of other continents – e.g. the Asian and Panama Games. These are serious, high-prestige events and include both opening and closing ceremonies; the Olympic flame burns throughout the entire time of the Festival; athletes, judges and coaches take their oaths; and when announcing the best athletes, the national anthem is played in honour of the winner and the flags of all medallists are hoisted. During the course of his visit, Renato had the opportunity to meet with EOC President, Patrick Hickey. In the summer Festivals 3,600 athletes take part; for the winter Festival, 1,800. As from today there are 9 sports included, which are both Olympic and non-Olympic: Athletics, Basketball, Cycling, Gymnastic, Handball, Judo, Swimming, Tennis and Volleyball. Speaking for ETU, Renato explained that we would like to have “Triathlon included into the Festival as it will be a good opportunity to showcase our sport and will be synergic to the decision made to have the Youth Triathlon Festival and European Championship starting in 2016. We have already seen the great successes of triathlon at the Youth Olympics and it is a logical progression to see our sport adopted into the programme for the EYOF. This is not automatic but will naturally require much lobbying, however I feel that triathlon now enjoys a space at Sport’s Top Table. We have an inclusive sport, a diverse sport.” We will keep you posted of any developments. The Triathlon venue is now planned to be at about 30km North of Baku. The change of venue was made in order to meet triathlon-specific requirements. All works are in progress and, according to the plan, the venue should be ready by the end of March. A test event (local race) will take place at the beginning of May. At the annual Presidents’ Conference, due to be held at the end of January, Renato will provide a detailed update and the President of the Azerbaijan Federation will join delegates there for a presentation. Renato would like to take this opportunity to urge National Federations to participate in the European Games and to send their best athletes. One very good reason is that there are 2 direct passes to Rio, 2016 for the first woman and first man. Preparations are of course underway for the Rio Olympic qualifications but the European Games presents a huge chance for our sport to develop even more. Please make a note of the 13th and 14th of June 2015 in your calendars. The European Games is a massive step forwards for sport in Europe and we are honoured that triathlon has been included. Gone are the days when we had to ask for invitations; now we are one of the top showcase sports on the sporting calendar and the doors are open for us. We will be launching a page on our ETU Website in due course so that you can follow all developments as the opening ceremony approaches. Keep up to date with the teams, the course and the start lists. In the meantime, the main event website is up and running (http://www.baku2015.com/en/sports/Triathlon).